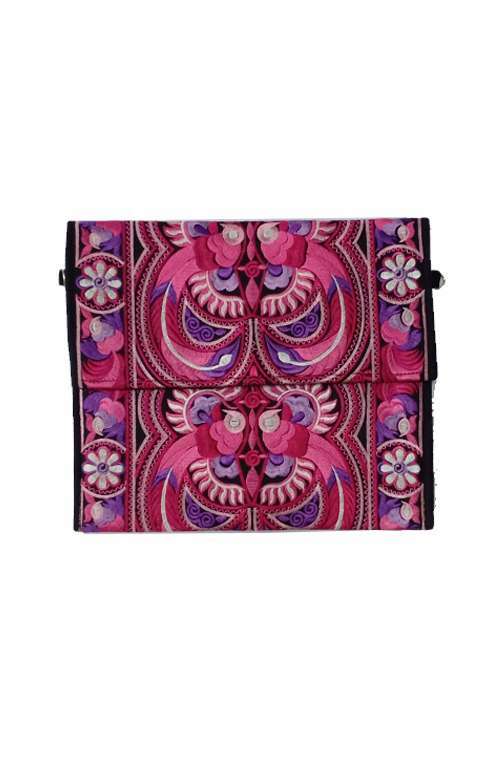 A gorgeous boho clutch bag handmade with embroidered textile inspired by the Hmong Hill Tribes of Northern Thailand. 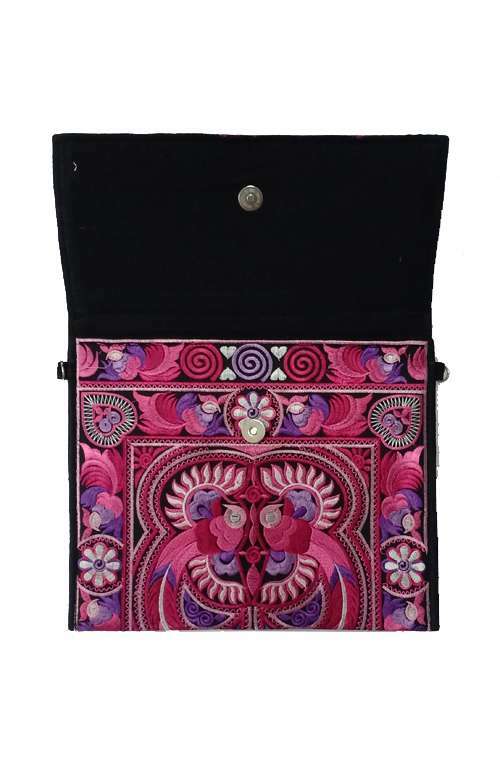 This boho bag is the perfect clutch purse casual use or for nights out. This beautiful boho bag is handmade in Northern Thailand. 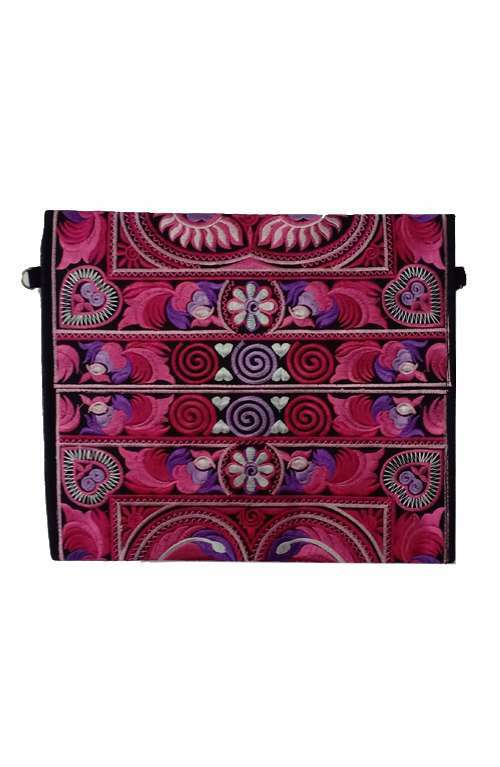 The clutch bag is made from gorgeous Hmong Hill Tribe design textile. 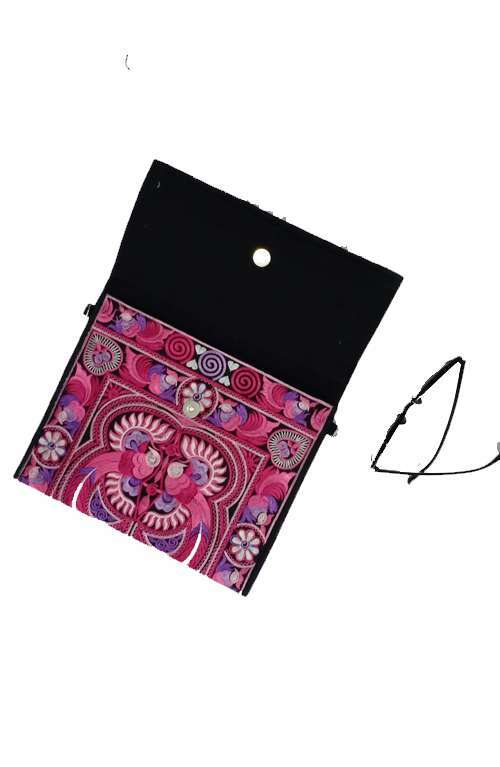 The bohemian clutch purse has a magnetic closure and is fully lined with black cotton inside. Great for casual use or for nights out.